Please consider your local rescue centres when thinking about a new feline companion. If you aren’t sure where your nearest reputable rescues are based, don’t hesitate to contact your local vets for some advice. Very often they will undertake a lot of the veterinary work for their local rescue centres, so they will be more than happy to pass their details on to you. There are many advantages in re-homing a cat from a rescue centre. Not only will you be giving a desperate feline another chance at a happy home-life but you will usually find that the cat you take on has already been neutered, wormed and had all of its vaccinations brought up-to-date before you become its owner. This can save you a lot of stress and worry at a time when all you want to do is bond with your new companion. When you contact a rehoming centre for the first time they will have some questions they want to ask you. These may include questions about the people and other pets you live with and the location of your house. This is because, if you live (for example) near a busy road or in a high-rise flat, a house cat will be more suitable for you than an outdoor cat. And if you have young children you will need a cat that is well-behaved around its fellow young owners. The staff members will also advise you on anything that you need to adapt in your house before they visit to help make it cat-friendly! Once this has all been sorted, you will usually be invited to the centre to visit those cats that need re-homing which are also suited to your needs. There, you will be able to make the difficult decision of selecting your new feline companion. Many rescue centres find that black cats take longer to re-home than cats of other colours. It is not fully known why this is but many centres believe it is associated with superstitions surrounding black cats; so please ignore the old wives tales and give those kitties consideration as well! The next step in re-homing will be for a member of the cat rescue team to visit you at your house. There is no need to be worried about this. 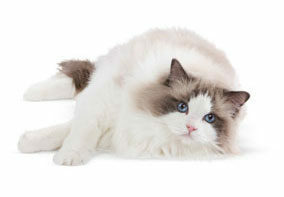 The main aim of the visit is to discuss cat ownership in your home and to answer any questions you may have. They can also give you hints and tips about cat ownership and about the specific needs (if there are any) of the cat or cats you have chosen. You will also be given advice on how to securely take your new cat home, how to keep your cat safe while they get used to their new environment and how to introduce your cat to any children or other pets you may have. The local area in which you live may also be discussed and the centre will offer advice on how they think this may affect your new cat’s behaviour. All in all, you can rest assured that re-homing a cat can be a very rewarding experience. Very often, having the knowledge and the experience of the rescue centre staff to fall back on if you have any questions or concerns is an incredibly reassuring factor as well. 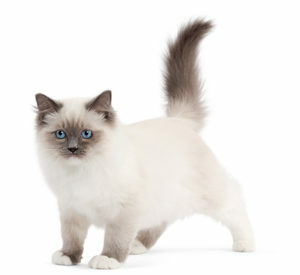 For all those of you considering a new cat, good luck and all the best in finding your “purr-fect “feline companion! !